If your seaside home has a garage, Garage Door Repair Marina del Rey is the local business to call upon for service. We understand the special challenges that come with owning a home near the water and the effects that that can have on your garage door. Garage Door Repair Marina del Rey is a supplier of garage door products. We carry name brand garage doors, garage door openers, garage door remotes and all the working parts for your garage door. We install garage doors and garage door openers for new homes and replace them on older homes. We offer regular preventative maintenance services to keep your garage door working efficiently and we have repair services available if it doesn't. In Marina del Rey we are the garage door leader and we know how to keep your garage door in working order in this unique community. One garage door part that is essential to the garage door is the garage door opener. The garage door opener is the key to your home. It allows you easy access to your garage and your home and provides needed security for this access. It is a wonderful thing if it works properly and a pain when it doesn't. It can suffer very much when it comes to the conditions associated with living on or by the water. The key to keeping this part in working order starts with a quality product. At Garage Door Repair Marina del Rey we carry the major opener brands at the most consumer friendly prices. You really can't go wrong by choosing any of these opener brands, but each have something different offer and a different price point. The staff at Garage Door Repair Marina del Rey is always on hand to help you decide and install the opener once you do. We stay current on all the trends and technology so you don’t have to. 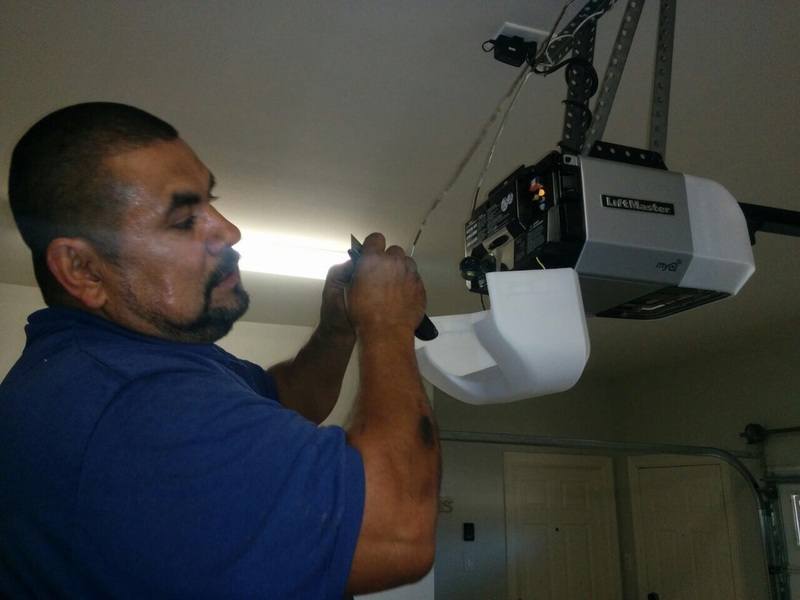 Garage Door Repair Marina del Rey staff will also help you decide which one of the garage door opener types is correct for your needs. Do you have an attached home? You will want to consider the quiet belt drive opener. Do you have a heavy wooden door on an older home/? Then the chain drive may be the one for you. Or perhaps you have a large steel garage door. Then the durable and strong screw drive may be the option for your garage. Our staff can assess your situation and point you in the right direction with your opener. No matter what your garage door need happens to be in Marina del Rey you can rest assured that Garage Door Repair Marina del Rey is ready to assist you. .